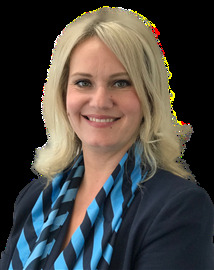 Lindsey Turton is the Executive Assistant to Nick Langdon, one of the Director’s of Tandem Realty. She brings an upbeat and bubbly personality, and is often the first point of contact for many Company related questions. Lindsey is highly organised, has a fantastic attention to detail and is an amazing event planner. She gives 100% of her loyalty, time and commitment to everything that she takes on, and is always willing to help in any way she can. Lindsey emigrated from the UK to New Zealand in 2006. She quickly adapted to the laid back lifestyle of the beautiful Hibiscus Coast. She has worked and lived locally since immigrating here: first as the Enrolment Officer for Whangaparaoa College and, for the past nine years, a fantastic edition to the Tandem Realty management team. In her spare time Lindsey enjoys spending time with her husband and three beautiful daughters. Shanna’s role as operations manager has her working closely with all our new and existing staff, inducting and training them in our office procedures and computer systems. Balancing her time between sales consultants and office administrators can be a demanding job, with her warm welcome, positive attitude, focus and drive Shanna thrives on getting the job done. Shanna started within Tandem as one of our office administrators. With Shanna’s background and knowledge in our company systems and her 15 years’ experience in customer service, admin and sales support she is an integral part of our team. Shanna loves the lifestyle the beautiful Hibiscus Coast has to offer, enjoying it with her family and friends. Anita’s humble demeanour presents a professional salesperson with a vision to continually provide her clients with the very best experience. Her business model is based on a solid foundation of values to create clients for life, outperforming expectations and servicing her client’s needs better than anyone else. She’s an interaction agent of service, and her ability to listen and respond to individual circumstances in a sincere way enables Anita to tailor a strategic approach for her clients. Her compelling marketing strategies of where attention goes, energy flows, creates captivating marketing solutions to ensure your property is seen by an enormous audience. This unique system delivers every one of her clients the best outcome while on the market. “You are hiring me not to sell your property, but to maximise your price’. Her energetic youthfulness and unwavering determination smoothly navigates the process and as a professional negotiator, achieves record-breaking results. Her natural enthusiasm for Whangaparaoa and the surrounding suburbs is obvious to those who meet Anita. Having lived locally for over 20 years, she is an active member of the community and has a thorough, first hand understanding of the local market and the people who live there. For people who are looking to buy or sell in the area, her wealth of in-depth local knowledge and passion for the area is a genuine advantage. Anita goes far beyond what one would perceive to be the normal role of a professional real estate salesperson. Her testimonials speak volumes about her clients’ appreciation of their experience, and results achieved and it is no doubt why her customers continue to use her and refer to family and friends. Caroline stems from a 27-year background as an experienced Police member specialising in various high profile fields. She has been awarded on many occasions for her dedication and drive to achieve results of the highest standard. The key to her ongoing success is her strong work ethic, integrity, honesty and a reputation for her refreshingly friendly and professional customer approach and commitment to communication. Caroline believes that every transaction is about her clients and focusses on listening and getting to know exactly what their property needs are. She works closely with her clients to provide a tailored service and expertise that makes each transaction as seamless and successful as possible. Satisfied clients comment on her ability to adapt and go the extra mile to assist sellers to a smooth, stress-free successful sale of their cherished home and to guide buyers to obtain their dream home. Caroline is a driven agent that works exceedingly hard to achieve her goals. She will exceed all expectations with her strong negotiation skills and excellent communication, which generates excellent outcomes for her clients. She is committed to provide a quality service and to shatter all stereotype moulds agents are perceived to be in. As a rooted Coastie, you will find Caroline and her family either on a renovation project, at the beach or exploring the outdoors. Caroline is also actively involved in the community, church programs and the hockey world. She enjoys a good book, exercise, the arts, movies and having a wine with friends. An avid explorer, she loves to try new restaurants and check out local activities and celebrations. With her can do attitude and positive outlook on life, you can be rest assured that she has your best interest at heart. If you have a desire for personal and professional service, Caroline is definitely your agent. Having lived on the Hibiscus Coast for the past 35 years Debbie has developed a deep love and connection with this area. She and her husband brought up their 5 children here which gave them a great start in life. This is a wonderful place for families, business people and retirees alike. This mix has created a community that grows together and supports each other. Debbie is very exciting to be the "property matchmaker" for this part of the country. Debbie has had 30 years’ experience in the sales industry earning a number of awards. 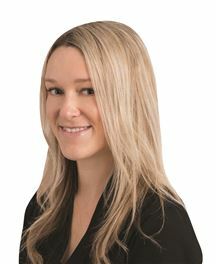 In line with her high professional standards she chooses to work with the most successful Real Estate company in New Zealand, Harcourt's Tandem Realty Ltd. This gives Debbie, and consequently you, access to the best marketing tools, market information and buyer pool. All this combines to provide you with top quality service for your real estate needs. Debra has had tremendous success selling many properties over her real estate career. She appreciates the importance of her role in negotiating outcomes to satisfy her clientele and she works tirelessly to exceed the expectations of all parties. She understands the importance of communication throughout the entire sales process giving prompt feedback to vendors and generating as much buyer interest as possible. Debra has a proven track record of obtaining excellent prices for her vendors ‘ properties through her energy and commitment to the sales process. She lives on her lifestyle block with her ‘euro trained chef’ husband where they enjoy the animals and self-sufficiency. Elizabeth has been selling real estate in Rodney since early 1999. Whilst sales have been wide ranging (Waiwera, to Kaukapakapa, down too Dairy Flat and out to Gulf Harbour), Elizabeth’s specialty area is Stanmore Bay. Positive and enthusiastic, her strengths lie in marketing and administration. Homeowners can be confident she has their interests at heart as she is dedicated to providing the best service her sellers could receive. Regular contact, consultation and feedback keeps them fully involved and informed. In addition, Harcourts unique policy of advising the sales team of pending offers guarantees a homeowner that every effort has been made to secure the optimum price available from the market. Prior to commencing her real estate careers, Elizabeth and her partner Gary developed skills which today are of immense value to their clients. Gary is a former Head of Design at Television New Zealand, and he has film, tv and commercial credits to his name, both as a designer and producer. Elizabeth commenced her television career at the BBC in London, returning to NZ and taking up a production management post at TVNZ. In today’s property market, reliant on strong audio visual presentation, with social media at the forefront of the marketing process, enable them to script, direct and produce an individualized, unique and professional profile for your home. Dont hesiate to call Elizabeth or Gary today. Gary provides that essential ‘man power’. With a Diploma in Industrial Design, he is able to offer expert design consultancy advice to homeowners. He oversees flyer deliveries, sets up and assists with open homes, contacts the buyer database, co-ordinating with those wishing to view properties, and liaises with building inspectors, valuers and other specialists. Spearheading a tightly scheduled programme for contacting the extensive database, Gary is a key member of the telemarketing team and gains so much success from his presence. Prior to commencing his real estate careers, Gary and his partner Elizabeth developed skills which today are of immense value to their clients. Gary is a former Head of Design at Television New Zealand, and he has film, tv and commercial credits to his name, both as a designer and producer. Elizabeth commenced her television career at the BBC in London, returning to NZ and taking up a production management post at TVNZ. In today’s property market, reliant on strong audio visual presentation, with social media at the forefront of the marketing process, enable them to script, direct and produce an individualized, unique and professional profile for your home. Dont hesiate to call Gary or Elizabeth today. Committed & Honest with an Unmatched Level of Enthusiasm. Committed. 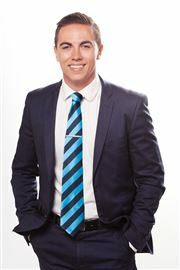 At the forefront of all he does, Kieran is committed to selling your property for you. He will work efficiently, with a sense of urgency, to meet and exceed your expectations. He will strategise with you as clients to ensure from the beginning of the marketing campaign, your home is sold with diligence, precision and an unwavering level of support. You will always come before the commission. Honest. Kieran is committed to offering integrity, honesty and transparency in all that he does. He speaks the truth and gets you the best result. Unmatched Level of Enthusiasm. With 6 years in the industry both as a Sales Consultant & Auctioneer, Kieran lives and breathes real estate. 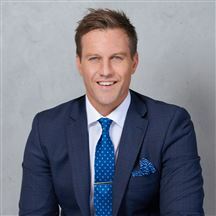 He specialises in auctions with a tailored marketing campaign and surgically precise negotiation skills. He will prove his value to you. His dedication, market knowledge and unwavering focus are what you need to sell your home. Working hard to get your home SOLD! 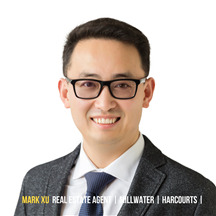 Mark Xu epitomises integrity, energy, hard work, and creative service in every detail of your real estate transaction. Mark grew up in Taiyuan city, mid-north of China and started his sales habit at the age of seven, selling a poker game to neighbourhoods during the Lunar new year. He began his real estate career in 2013 offering top industry service and professional advice. He has become to a strong negotiator protecting his clients’ interests. Savvy negotiation and cutting-edge marketing strategies join uncompromising integrity as the hallmarks of Mark’s service. 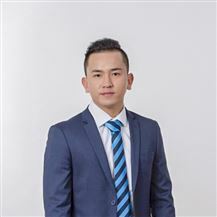 He has continued rising early and has built a solid foundation of corporate clients by his long record of successfully guiding local and international clients with their real estate transactions. “Your home is my business and I ensure efficient and complete service for you, and assist you in every aspect of home buying and selling. I’m ready to go to work for you today!” Please call Mark for all your real estate enquiries and without any obligation. Sandra Turner is an enthusiastic and energetic Real Estate Professional working across the beautiful Hibiscus Coast region. Sandra is a local resident who is passionate about our fabulous local community and area. Sandra prides herself on providing her clients with value and a superior customer experience and service. Sandra has a wealth of local knowledge as she has lived between the Hibiscus Coast and Central Auckland since the 1980’s. Being fully dedicated to development, health and growth of the wider Rodney community. Beyond being a Marketing & Sales Consultant for Harcourts Tandem Realty Ltd, Sandra is also… - Secretary and Youth Director for the Whangaparaoa Lion's Club - President of Silverdale / Orewa Toastmasters - A Marriage & Civil Union Celebrant Sandra's positive personality, her desire to improve our wonderful community, coupled with the reputation and brand strength of Harcourts, New Zealand’s largest real estate group, gives you all the requirements for a successful outcome! Sandra is here to assist you achieve your goals and she will be with you all the way. Working together we will achieve the best results for you and your family. Please feel free to contact and discuss your property needs with Sandra today. Chloe brings her flare of ‘attention to detail’ with her to the Tandem team after starting her career in real estate at the beginning of 2018. 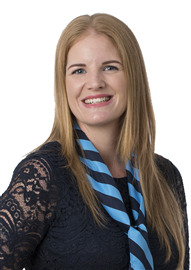 Her creative style and dynamic personality light up the front reception at the Harcourts Silverdale office. Her ‘can do’ attitude and willingness to help will greet you alongside her awesome smile. The varied role of Office Administrator within a quick paced team is demanding and yet rewarding as Chloe embraces the challenge and takes all in her stride. Chloe brings an expanse of experience from her previous roles after emigrating to NZ from the UK in 2006 and in her spare time loves to spend time with her family and friends. 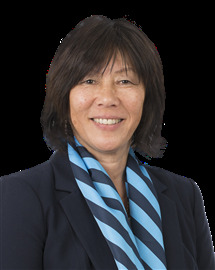 The guardian of Harcourts Tandem’s finances, Jan is an experienced financial professional, with a wealth of sales and commercial acumen. Jan decided to swap the fast pace of the motor world for the equally as exhilarating real estate industry after 13 years owning a Mitsubishi franchise, and seven years later, Harcourts is still her home. Supported by her Finance Assistant, Angela George, Jan views her job as simple as making sure that money goes where it needs to, which in fact is no easy feat, when juggling buyer deposits, trusts and commission. None of this fazes Jan and she’s a strong advocate of the Harcourts brand and the fantastic support and sales training that it provides. The ever-changing landscape of the property market keeps Jan on her toes, although when the spreadsheet is closed for the week, you’ll find Jan with her number one priority – her family, including her three children and grandchild, where she’ll be enjoying life at the beach, local restaurants or getting out in the garden. 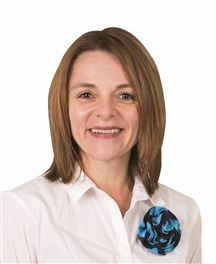 Marcia is team Hansen's Client Services Co-ordinator. 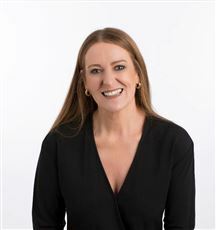 She comes to Harcourts Tandem Realty from Lotto NZ where she was Head of Customer Experience and Research. Today, real estate agents must offer their clients much more than simply buying or selling a house. Marcia spearheads a tightly scheduled programme for contacting and marketing to an extensive client database. With her background in Marketing and Customer Experience, Marcia is well placed to ensure the experience as a buyer or seller is maximised through Tandem's affiliated providers. Her focus and passion is to ensure a great client experience for Gary and Elizabeth’s clients. 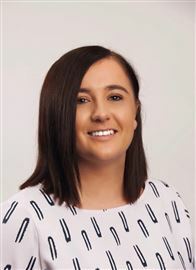 The assistant guardian of Harcourts Tandem’s finances, Sarah is an experienced financial professional with a background in the finance division of real estate. Sarah has a keen interest in health, nutrition and well-being and a love of cooking & baking. Sarah loves the beach, spending time with friends and family & the great outdoors. Let's Do A House Swap! Want a View or Two? A Smart Start in Wainui! Private and Priced to Please!